What are you doing to keep yourself healthy, happy, and thriving? If you are a senior who lives in the Albuquerque area, you may be wondering what you can do to have better health and happiness in your life. Accessing healthy meals from Meals on Wheels of Albuquerque is a great first step in improving your life, but there are also some other low-cost ways you can make sure you are living to the fullest. Keep reading to learn more. Social isolation can be a major issue for seniors living in Albuquerque and the surrounding areas. With the area being so spread out and traffic a bit much to deal with at times, it can be very easy to spend too much time alone. More than just being lonely, social isolation can have such a harsh impact on your mental health if you do not find ways to stay connected to others. If you are a senior who still likes to drive around, having reliable transportation will make it easier for you to visit with loved ones and friends around Albuquerque. You can also look into using the Rail Runner to get you from place to place, whether it’s within Albuquerque, Bernalillo, or even Santa Fe. Rail Runner fares are discounted for those who are 62 and older and people with a documented disability, and fares are even free for certain veterans. For those family members who do live farther away, using a video call system can help you stay in touch on a more regular basis. 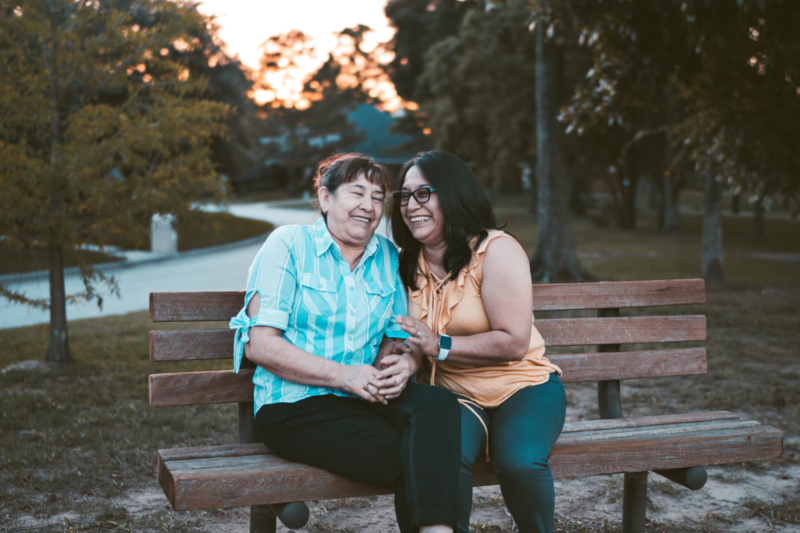 When you need to connect with the community, try visiting one of the many senior centers around Albuquerque. If you want to add some happiness to your life, one of the easiest ways to do so is to get outside for a little low-impact exercise. Working out in the fresh air can benefit your overall health in different ways, but the real perk of exercising outside is what it does for your mental health. In one study, subjects who participated in some form of outdoor activity, from walking to biking to hiking, had their feelings of happiness boosted 50 percent more than people who hit the gym. With some many trails and open spaces around Albuquerque and nearly 310 days of sunshine, you are in the perfect spot to take your workout outside. Even the winters tend to stay mild enough to enjoy some time in the sun. If you are unable or do not feel safe exercising outside, you may also be able to access Silver Sneakers fitness centers to take advantage of aerobics and yoga classes that can keep you fit and healthy. Did you know that dementia rates are actually dropping across the United States? Researchers believe that this may be due to more seniors seeking out educational opportunities in their later years. To keep your aging brain happy and healthy, you have to work it out just like you do your muscles. If you are not enrolled in any classes, one way to keep your memory and thinking sharp is to use puzzles and games to promote brain health. Puzzles, in particular, are extremely helpful because they typically require you to work out complex problems in your mind. To get the most benefits, try to really challenge yourself every day. You can pick up a book of crossword puzzles or Sudoku so you can work out your brain over your morning cup of coffee. There are also brain-building apps you can download if you prefer to play on your phone. Most of these apps, like Lumosity and Elevate, offer free versions that will work just fine to help stimulate your brain on a regular basis. Having meals delivered to your door is only one layer of a healthy aging plan. You also need to make sure you are staying connected to others, getting exercise every day, and taking care of your mental health. So, connect the dots and connect yourself to more health and happiness!